March 20, 2018 by Jonathan R.
This is not the first time we are hearing rumours of a gold iPhone X. Back in September 2017, KGI Securities analyst Ming-Chi Kuo reported that the new “blush’ gold shade might not be available at the time of launch due to production issues. The iPhone X is currently available in white or space grey, while the iPhone 8 and iPhone 8 Plus can be purchased in silver, gold and space grey. 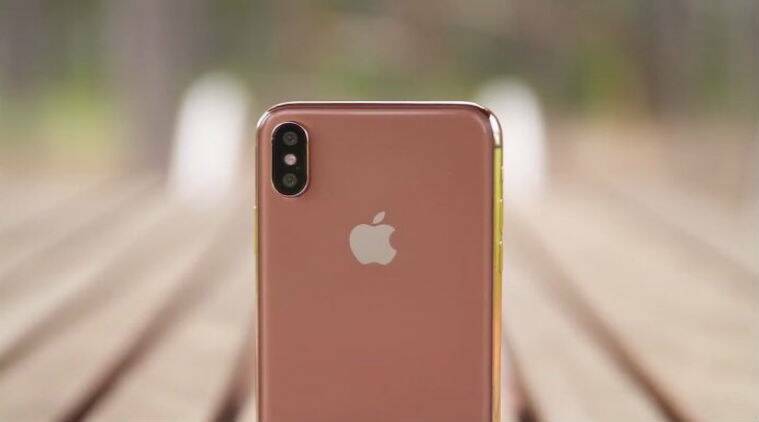 Apple may have plans to launch an iPhone X in a new ‘blush gold’ colour option. According to a tweet made by designer Benjamin Geskin, Apple has apparently started the production of a ‘blush gold’ colour variant. The device is currently being assembled with the D21A codename. Geskin also tweeted a comparison image which compared the blush gold SIM card tray that to the other gold options the company has released in the past. There is no word on the release date of a new ‘blush gold’ iPhone X at the moment. Apple has announced a keynote on March 27 in Chicago, though we doubt the launch event has anything to do with the iPhone. If Apple does plan to launch the iPhone X in a new ‘blush gold’ shade on March 27, you don’t have to wait too long to hear the announcement.